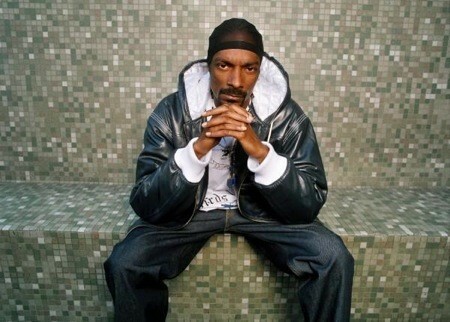 100 Suns And Snoop Dogg On "Calling Mumia"
Massive Attack picked up a Q award in person at a ceremony in London, attended by other such artists as Coldplay, Grace Jones, Sugababes and the Kaiser Chiefs. 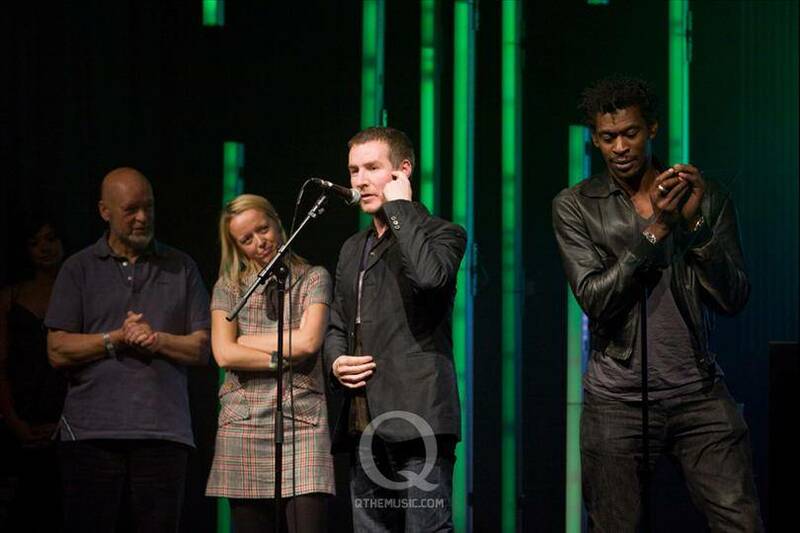 Massive Attack won the Q "Innovation In Sound" category, acknowledging their contribution to the British music scene in their nearly two decade long career. 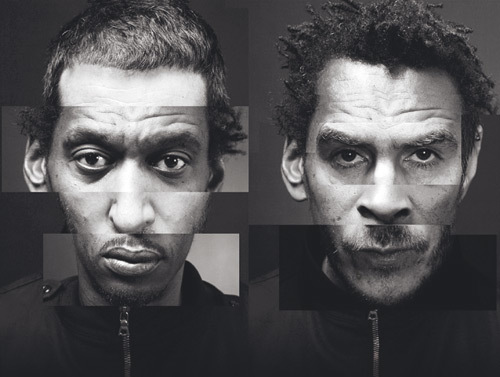 Massive Attack played the final date of their 2008 European tour on this date at the Kronprinseparrets Kulturpris in Copenhagen, Denmark. It would be exactly another year until the beginning of their next tour to promote Heligoland. 3D accepted an award (on behalf of 100 Suns/One Point Six) at the David Di Donatello Awards ceremony in Rome, Italy on this date. The award in question, was for 'Best Original Song' in a film for the track Herculaneum featured in the critically acclaimed Italien language film Gomorra, which depicts in horrifying detail how the maffia operate in and around the Naples area. 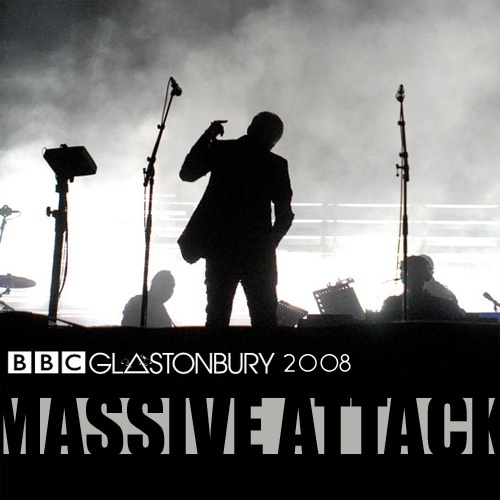 Massive Attack headlined the 2nd stage at the world famous Glastonbury festival on this date. It was their first live appearance at Glastonbury since 1997. Massive Attack's curration of the annual London arts festival "Meltdown" started on this date. Some of the artists that played over the course of the week included Elbow, Primal Scream and Mark Stewart. 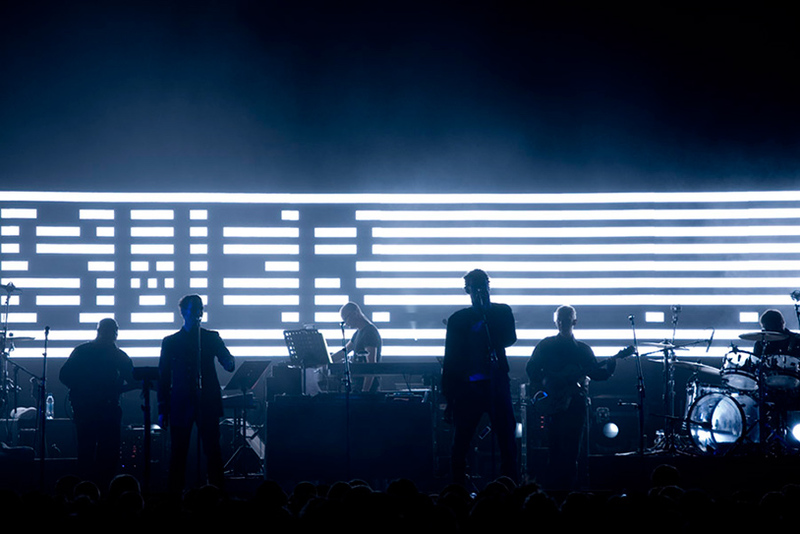 Massive Attack played two shows during "Meltdown", on the opening and closing nights of the festival. The 2008 European tour got underway on this date with a concert at the Saku Arena in Talinn, Estonia. Eight new songs in total were debuted live for the first time at this show. They would be a total of 32 shows played on the 2008 tour. 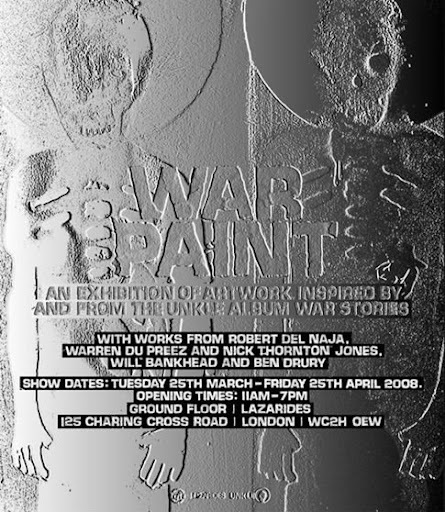 An art exhibition entitled "War Paint", inspired by the recent U.N.K.L.E album War Stories, was held starting on this date until the following month at the LAZINC gallery in London. The exhibition on display featured primarily work from 3D's contributions to the War Stories album. Artwork as well from Warren Du Preez and Nick Thornton Jones (both of whom have photographed Massive Attack in the past), Will Bankhead and Ben Drury was also on display.